1-1/4 Sophia Knob, 1 per package This Liberty 1-1/4 in. 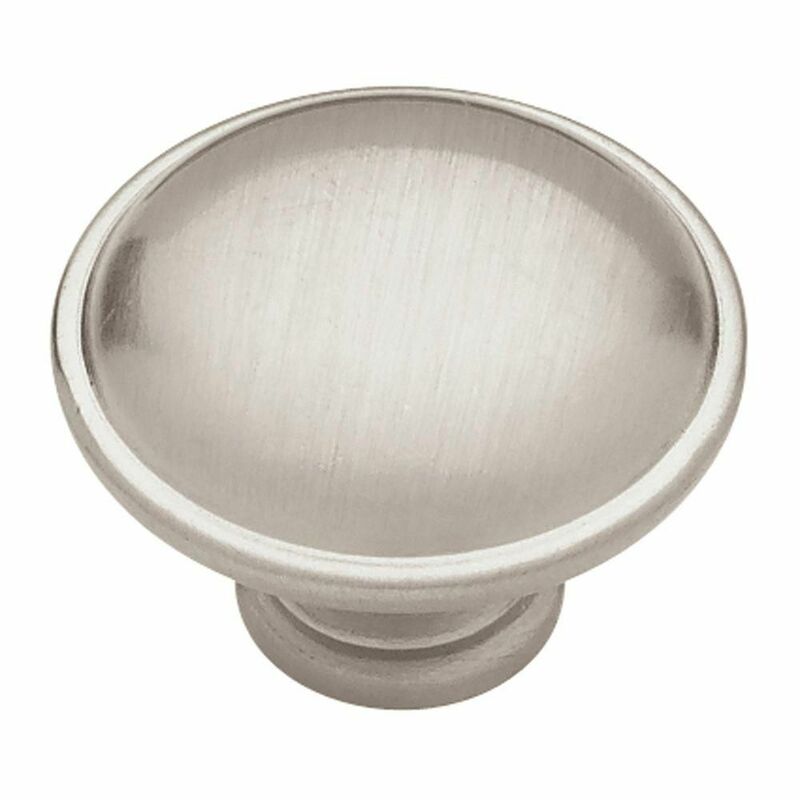 Satin Nickel Round Knob is made of high-quality zinc die-cast base material. The satin nickel finish is a low-maintenance finish that helps hide scratches. It is designed to work with 3/4 in. drawer fronts and cabinet faces. 1-1/4 Sophia Knob, 1 per package is rated 5.0 out of 5 by 6. Rated 5 out of 5 by HelenSetmeyer from I was able to use these and they look beautiful. The weight and quality are as expected. I woul... I was able to use these and they look beautiful. The weight and quality are as expected. I would recommend these to my friend and family. Rated 5 out of 5 by maggieb from quality product I love this pull. It is very heavy and well made. The design is simple and elegant. It went well with the antique looking cup pull I chose to go with it. Very pleased.